Lewie first got into songwriting in 1980 and describes himself as a Lyricist who writes with colours. He took up the drums in 1983 and joined his first band in 1986 called The Telescopes. He played in various local bands before settling into a rock and roll band called ‘Stoney Ground’ who played clubs and pub’s around the area. In 1991 he called it a day as a drummer and became a vocalist and joined a soul-based band called Turn To Red, the band were signed up with a Peterborough management company and became semi- pro in 1992. During this busy period, lewie kept writing songs and got into recording his material. He studied recording techniques and founded Spectre Songs. By now the band was out 4-5 nights and they played at many of the RAF bases throughout the UK and Germany. But by 1994 the band was over and Lewie took Joe Nicklin – Lead Guitar (who Lewie had met in 1986) and Martyn Stretton – Bass, and formed The Rhythm & Blues Band who spent the next 13 years playing at top venues including Ronnie Scott’s 6 times supporting: The climax Blues Band, Big Joe Turner & His Memphis Blues Caravan & Peter Green Splinter Band & at the legendary Top Bell in Barton Under Needwood, Staffs. In 1996 Lewie teamed up with school friend Paul Cook and formed Thyme. 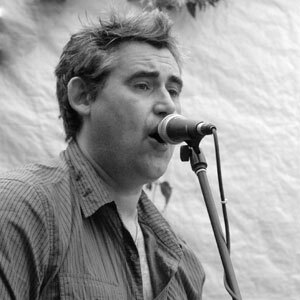 After a few releases, the songwriting team ended which lead to Lewie forming Split Sofa in 1999 with fellow blues band members helping out with recording original music. During 2005 – 2006 the blues band started adding Sofa songs to the set and people started to inquire where they could buy the original material. “it really was the end for me, I love the blues but it’s too restricting for me”. Lewie also worked with a runner-up from the TV series ‘ PopStars‘ penning her a song which she performed on stage with Daniel O’ Donnell at Birmingham’s NEC. Since 2006 Lewie’s thrown himself into Writing, Recording & producing Sofa Rock from the band’s own recording studio in Doveridge.